Home > VoIP Support FAQ > VoIP Phones > Why aren't Short Codes working on my Grandstream Phone? Why aren't Short Codes working on my Grandstream Phone? 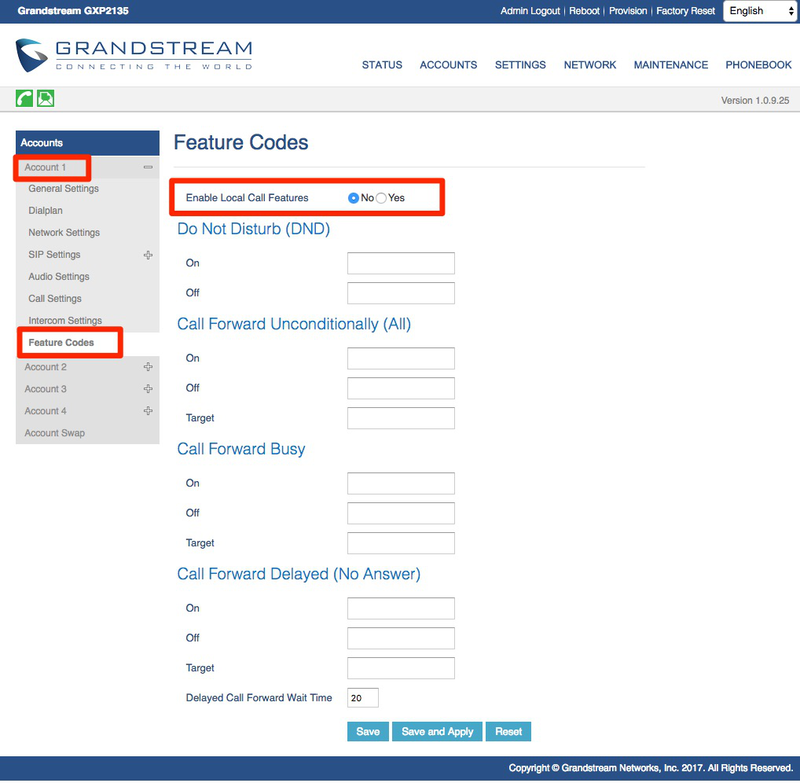 Most Grandstream phones are pre configured with their own short codes enabled already. This conflicts with the shortcodes set through your Dashboard, and can cause them to fail! You will need to disable Local Call Features in your phone’s Web User Interface, accessed by typing it’s IP address in to your browser. The default Username/Password is admin/admin. Once logged in, you’ll need to head to Accounts > Account 1 > Feature Codes > Click ‘No’ on Enable Local Call Features. 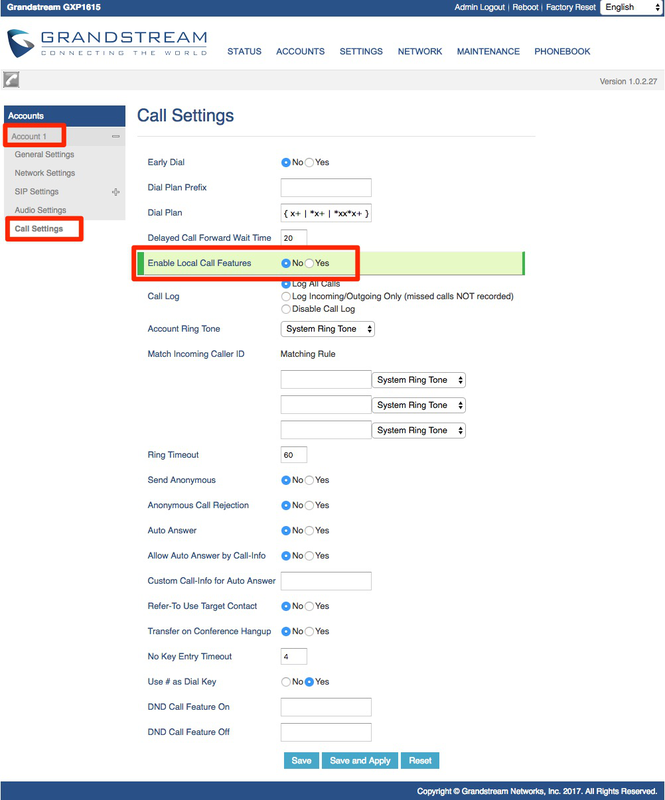 Once logged in, you’ll need to go to Accounts > Account 1 > Call Settings, and click ‘No’ on Enable Local Call Features. Don’t forget to Save and Apply changes!